Sony some time ago finally confirmed the rumors that have circulated since a long time by launching a 'notebook' VAIO P Series 8-inch design that has been updated. Notebooks will continue to focus on aspect of ultra-portability, but has some additional features like accelerometer touchpad, mouse buttons, and GPS. 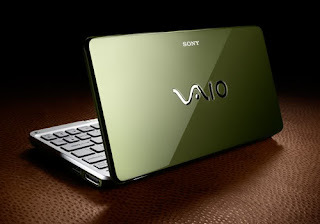 Vaio notebook series that has been refurbished it only weighs 632 grams and of course give an 8-inch display with a native resolution of 1600 × 768. The full specification is to use an Intel Atom Z540 1.86 GHz, 2GB RAM, GMA 500 integrated graphics, 64GB of flash storage, digital compass, Motion Eye webcam, 802.11b/g/n WiFi, 3G, Bluetooth 2.1, and battery which can be used in long time of 5 hours of usage. Sony Vaio P series of new 8-inch cursory look like a bag lady is going to use the OS Windows 7 Home Premium (32bit) and available in various colors (black, white, orange, green and pink). For the territory of the United States has opened the orders, while for the new global will be available next month.